When it comes to your son, finding the right academic environment is very important. This is especially true if you have a troubled teenager. At Ozarks Teen Challenge, we believe that a Christian boarding school is the right solution for troubled teenage boys and that one-on-one tutoring is an important part of that solution. In today’s blog post, we are going to take a look at one-on-one tutoring and mentoring and why it is so crucial for the students at Christian boarding schools. If you are the parent of a troubled teen who has been in the public school system, they have likely struggled to get into the right friend groups and find good influences within the school. At a Christian boarding school, one-on-one tutoring gives your teenager the opportunity to meet regularly with a positive influence who will invest in their academic and personal development. Tutoring and mentoring are part and parcel of the student development process at a Christian boarding school, where each student receives positive guidance in the classroom and outside of the classroom as well. 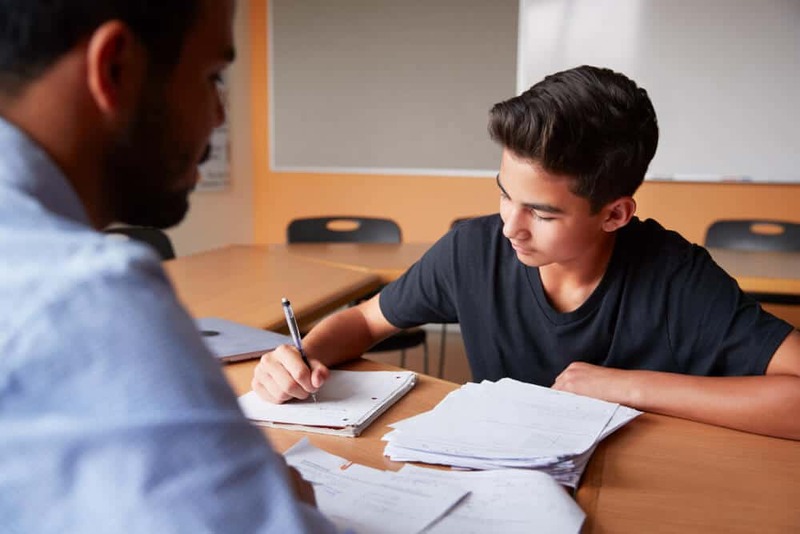 While your student may be attending a Christian boarding school because he has exhibited behavioral issues or struggled with substance abuse, he is also there for educational achievement. We want to offer your son the best academic opportunities we can, and one-on-one tutoring is an important way to ensure he gets the most from his studies. At Ozarks Teen Challenge, we believe that smaller classrooms and more interpersonal styles of education make a real difference for students, and we want to make a difference for your son as well. One-on-one tutoring is not only an opportunity for personal and academic mentoring, but also for discipleship. We want your student to overcome their problems and be an academic achiever, but we also want to disciple them and give them the proper Gospel footing they need to be successful. At our Christian boarding school, we believe that one-on-one tutoring can help do that. If you are looking for a Christian boarding school that emphasizes one-on-one tutoring and mentoring, give Ozarks Teen Challenge a call at (417) 272-3784 or contact us online today.